He’s finally coming out. 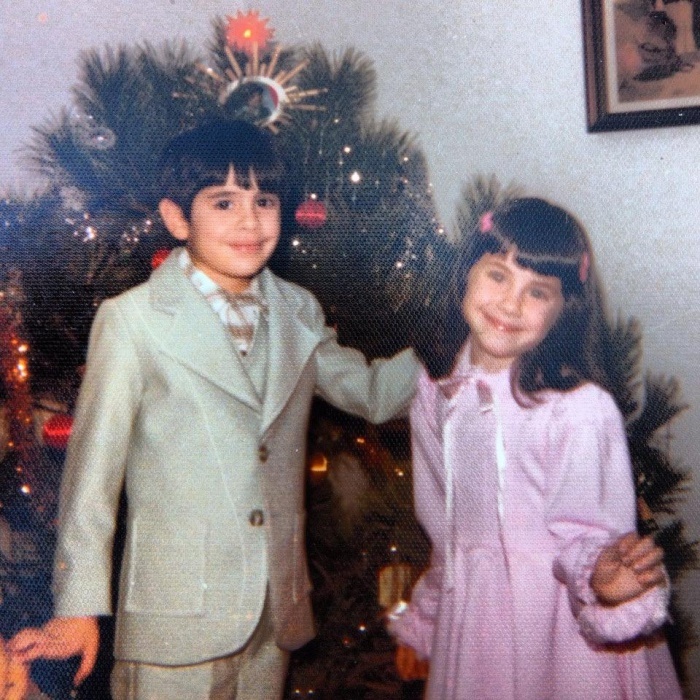 After two long years, I’m proud to present a special interview with Mark Bellomo. 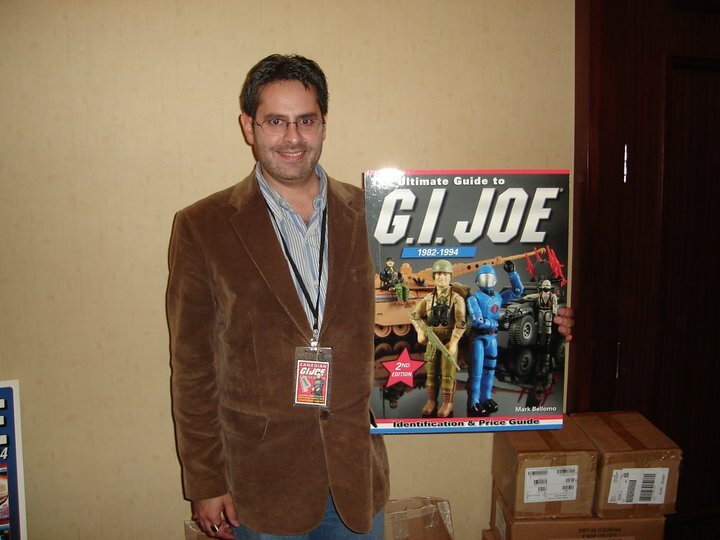 It’s no secret I idolize the writer of definitive toy books like The Ultimate Guide to G.I. 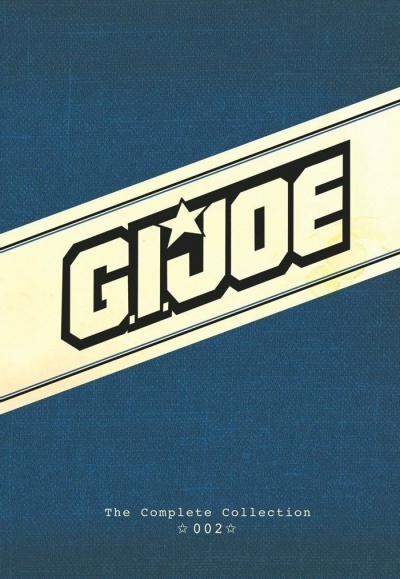 Joe 1982-1994: Identification & Price Guide, The Ultimate Guide to Vintage Star Wars Action Figures, 1977-1985, The Ultimate Guide to Vintage Transformers Action Figures and personal favourite Totally Tubular Toys of the ’80s. More importantly, it has also been my privilege to call him a friend. 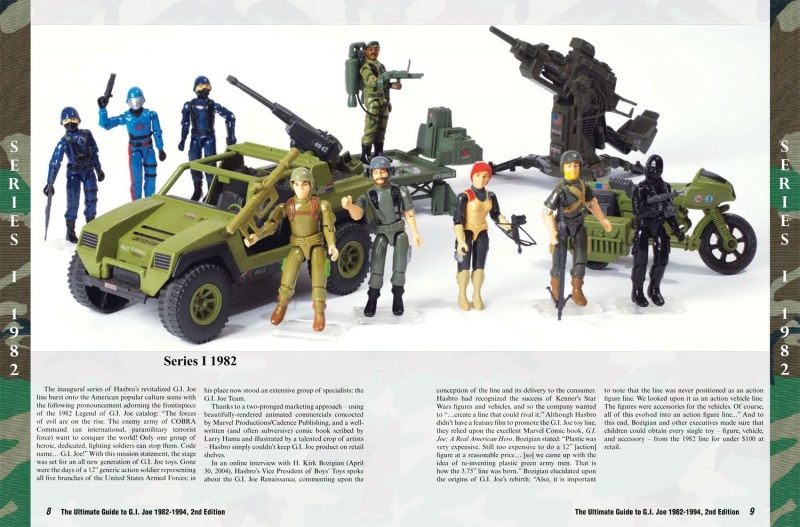 Of course, you have all read his in-depth articles on toys and the toy landscape, but now you will get to know the young Mark and how he fell in love with toys and started collecting them. For my entire life, I’ve been dedicated to action figure collecting—obsessed, really. What would you consider your main collection? And you are the collector. How long have you been collecting? Have there been times when collecting wasn’t a priority? Would you say that you were a full-on collector from the get go? Why do you collect? Is that a professional of personal choice? 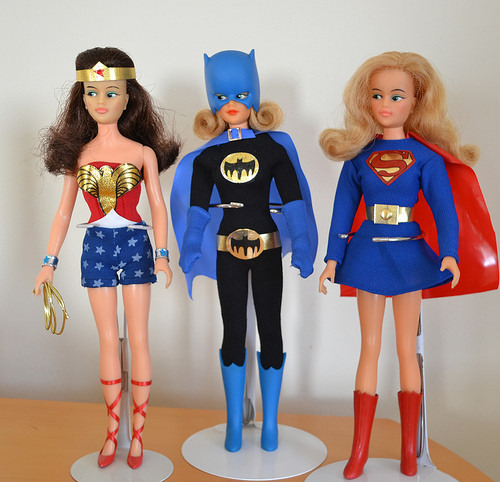 “For my entire life, I’ve been dedicated to action figure collecting—obsessed, really. Since I trust you—and by extension, your readers—I’ll share some personal information. My mom read an awful lot, so I just aped the behavior I saw: I read absolutely anything. Everything I could. Apart from reading, what was your childhood like? You were picked on as a child? 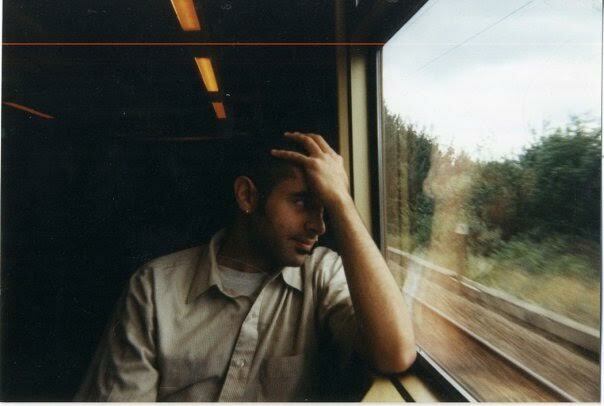 “Also, since I was raised in a European household, some of my mannerisms are a bit affected. Upon reflection, I believe that my customs and mores were too honest and naive; I was a SUCKER: I was wa-a-a-a-a-a-y too innocent. Which made me an EASY TARGET for every bully within a hundred-mile radius. Thrown into garbage cans, slammed into lockers. Every day. So I retreated into a fantasy world of action figures and books and comics (I began collecting in earnest in the summer of ’82). As a result of the relentless taunting I faced, I was a pariah—and so I retreated as far as possible into a fantasy world of my own making. Back in the day, kids were cruel little predatory punks. 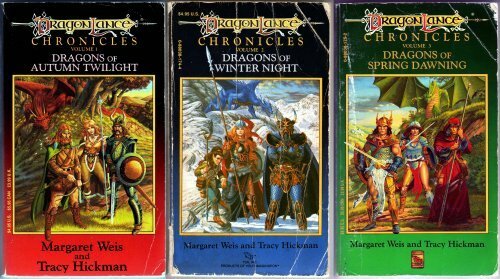 Perhaps it’s because of my devotion to these playthings during my formative years that I forged an unbreakable bond with these relics. Fast forward to the present where you are regarded as one of the leading authorities on toys. Where did your love for writing start? “It just so happens that my high school English teachers and my university professors encouraged my love of reading and cultivated my writing skills. Their faith and training allowed me to develop a clinically-rich style that initially lent itself to writing academic articles, then instructors manuals for college-level textbooks, and then longer essays. Then magazine articles. And finally, longer works. Thanks to the current popularity of super heroes, Star Wars, and 80’s properties, I recently left the university I’ve worked at for the past fifteen years, and now I spend every waking moment researching and writing about toys and action figures. But it’s my contention that these toys should be regarded in the same sphere as other antique treasures—even if they’ve been mass produced; they should be revered similarly as objets de vertu—they’re as important to the collective consciousness as a Faberge Egg. I am curious as to when you wrote your first ever toy article. It must be a joy really doing what you seemingly were meant to do? …I work 14-16 hours-a-day. Every day… and thankfully it has paid off. Although I haven’t had more than three days off in a row since my honeymoon more than a decade ago, I wouldn’t live my life any other way. And he was suitably impressed? Mark, you have an eye and knowledge of the value of toys and comics in general. Do you buy and sell? If I only have one sample of an item, that will NEVER BE SOLD: right into my collection it stays. Some might consider that inside trading. Which pieces in your collection are you most proud of? “There’s just so much that love within the items I own. I love every toy line I collect: I can always find at least one piece in each of my toy lines that’s pretty amazing. My favorite toy lines in my possession? I couldn’t answer that. But I could answer which toys I’m most fond of at the moment. 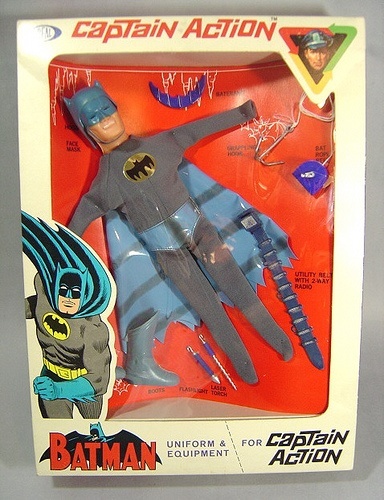 I adore the original 1966-1968 Captain Action line, particularly the Batman Uniform and Equipment set and the Spider-Man Uniform and Equipment set. The Robotech SDF-1 playset, Mint In Box. I bought this about ten years ago or more from a gentleman who only used it for display purposes. …my favorite toy produced by Kenner. Is it a Star Wars spacecraft? A Batman: the Animated Series accessory? An Adventures of Indiana Jones playset? A Centurions vehicle? Nope. 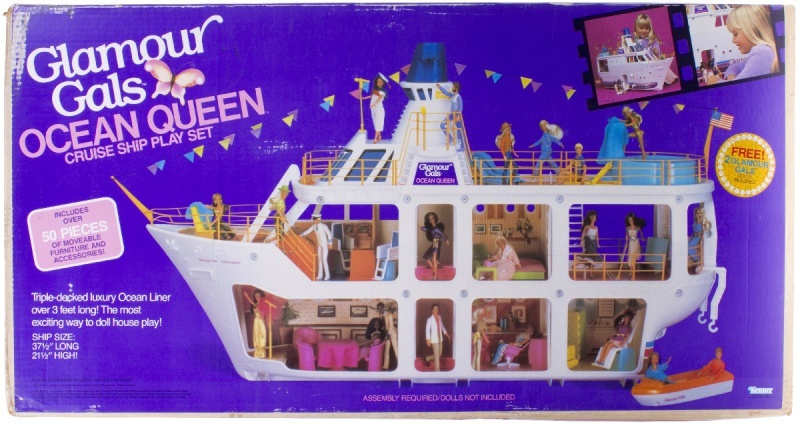 It’s the Glamour Gals Ocean Queen Cruise Ship playset. It’s absolutely incredible. This is the alpha and omega of playset detail—when Kenner was at the top of their game. One of the pieces I’m most proud of obtaining is my Princess of Power Spinnerella MOSC. I bought mine about ten years ago by surfing the forums of He-Man.org. 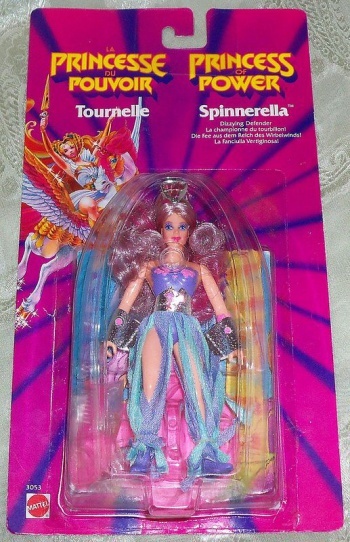 I had to then find a MLC Spinnerella, since there was absolutely NO WAY that I’d ever open the package. Have you ever been really disappointed with a bought toy? One that didn’t live up to your expectations? Sounds awesome for any child. Sounds like you’re still not over it. 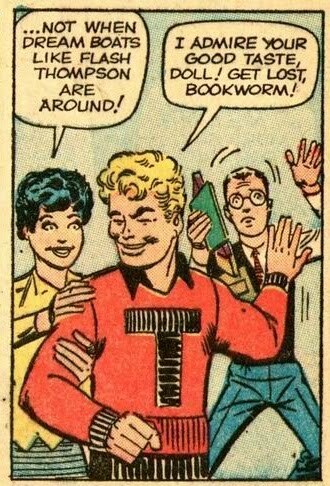 I used to get ostracized pretty hard for reading my Marvel Tales (Spider-Man reprint) comics during elementary school, or I would receive a beating for playing with Smurfs during recess. Does the collector that has everything still have a Holy Grail? 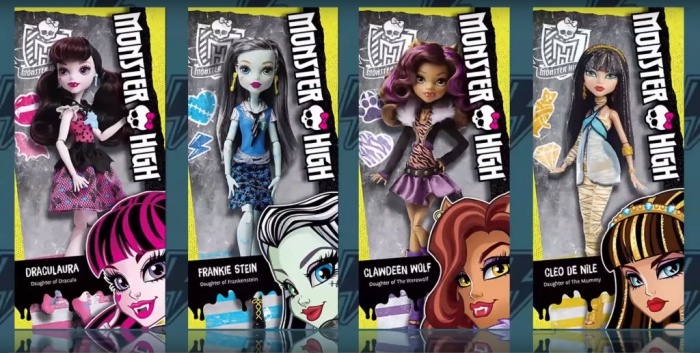 How much has the toy scene changed the last few years. In Europe it has become a hype to collect, re-sellers are popping out everywhere and prices at conventions have gone waaaay up. I would like to thank Mark Bellomo for his time and effort in making this article happen. You can read his loving tribute to his favourite MEGO here. 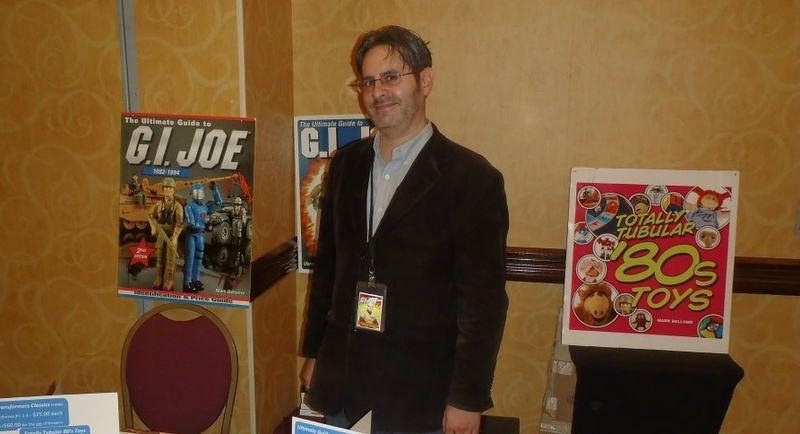 More on Mark Bellomo and his impressive collection can be found in the YouTube documentary Collectable Spectacle.